If you would like to know more about Poltair School, or would like to see it for yourself, please telephone the school's reception who will be happy to help. All feedback and concerns will be taken very seriously. 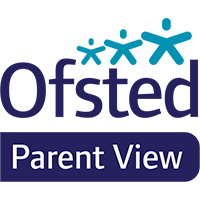 We also like to hear when you are pleased and you may wish to use the Parent View facility on the front page of the website. The Governors will hear complaints about the School, but only after all efforts to resolve the problem have been exhausted. Step 1: Contact your child’s tutor or subject teacher or the member of staff responsible for that area of the school to discuss the problem. If you are unsure who that is, the office staff will be pleased to point you in the right direction. If you remain unhappy, the Curriculum Team Leader or Year Team Leader can be contacted to look into the matter. Step 2: If efforts to help resolve the position are not to your satisfaction and you wish to take the matter further, then please contact the Head’s PA, Mrs E Pennell. A member of the Senior Leadership Team, usually the Deputy Head or one of the Assistant Heads will be assigned to investigate. If the issue remains unresolved, the Headteacher will follow up and get back to you. Step 3: If further action is required, you may contact the Governors through their clerk, Mrs Hilary Dipper by email at hdipper@poltair.cornwall.sch.uk. If you have any concerns or matters that you wish to raise in relation to SEND provision at Poltair School please contact our SENCO support leastwood@poltair.cornwall.sch.uk or SENCO tbrain@poltair.cornwall.sch.uk.